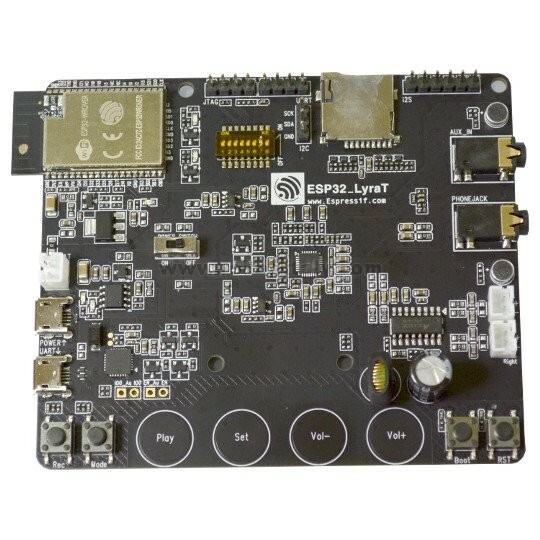 ESP32-LyraT is a low cost speech recognition IoT board. 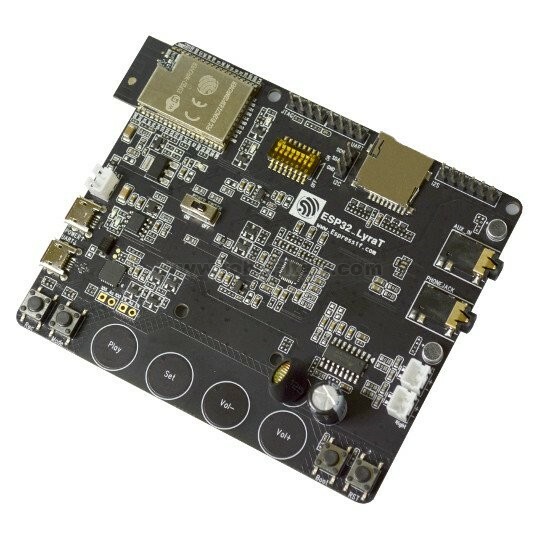 The board can be used for all sorts of audio processing. Please notice that this board is NOT designed or manufactured by Olimex. 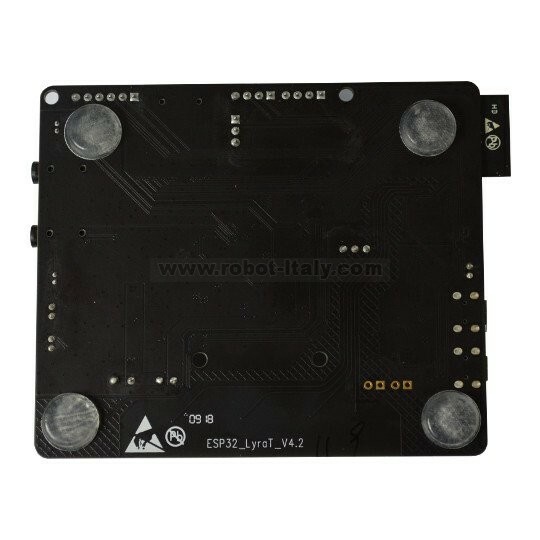 This board is designed and manufactured by the ESP32 creators - Espressif Systems. We are distinguished "Espressif Systems" reseller. IMPORTANT! If you are connecting a battery to the board, double-check the polarity of the BAT connector - it is reversed compared to typical battery connectors! Either swap the + and - of your battery or pull the connector's plastic up and put it back in reverse! Connecting a standard Li-Po battery without this precaution would damage the battery charger of the board!